Jeff Howe is a contributing editor at Wired Magazine, where he covers the media and entertainment industry, among other subjects. 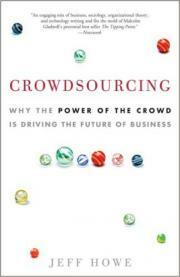 In June of 2006 he published "The Rise of Crowdsourcing" in Wired. He has continued to cover the phenomenon in his blog, crowdsourcing.com, and published a book on the subject for Crown Books in September 2008. Before coming to Wired he was a senior editor at Inside.com and a writer at the Village Voice. In his fifteen years as a journalist he has traveled around the world working on stories ranging from the impending water crisis in Central Asia to the implications of gene patenting. He has written for Time Magazine, U.S. News & World Report, The Washington Post, Mother Jones and numerous other publications. He lives in Brooklyn with his wife, Alysia Abbott, their daughter Annabel Rose and son Phineas and a miniature black lab named Clementine.